What Is Anaerobic Digestion and Why Is It a Growing Trend? Anaerobic digestion is what happens when organic matter, like food scraps or grass clippings, decomposes in the absence of oxygen. The term “anaerobic” literally means “without air.” This process can happen naturally anywhere waste is so compacted that it creates an airless environment—like in overloaded landfills. And in that context, it’s bad news for our atmosphere. That’s because when waste breaks down through anaerobic digestion, it produces methane—one of the most powerful greenhouses gases. So, when we load our landfills with food waste and other organic materials, we’re setting them up to pump our atmosphere full of harmful emissions. But that’s not the whole story. When anaerobic digestion happens in a controlled environment, the resulting methane can be captured and converted into useful—and environmentally friendly—products. Organic waste is separated from inorganic materials and sent to an anaerobic digester containing three types of microorganisms: acidogenic bacteria, acetogenic bacteria and methanogens. Microorganisms begin to break the organic waste down into sugars and fatty acids, in a biochemical reaction called hydrolysis. Acidogenic bacteria convert the sugars and amino acids into carbon dioxide, hydrogen, ammonia, and other organic acids. Acetogenic bacteria convert the organic acids produced in the last step into more carbon dioxide, hydrogen and ammonia. Methanogens convert the products of the last two steps into a biogas made up of 60 percent methane and 40 percent carbon dioxide. Biogas is used to generate heat and electricity. The digestion process can take anywhere from two weeks to 40 days, depending on the type of organic waste, the number of microorganisms, the pH level and the temperature inside the digester. An anaerobic digester is where the anaerobic digestion process takes place. It is a sealed, metal, oxygen-free tank, often resembling a silo. While the waste breaks down, the digester collects the resulting biogas in balloon-like “caps.” As pressure builds up, the biogas is forced out of the caps into generators where it’s converted into energy. 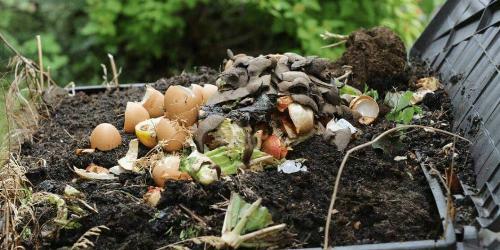 What Types of Waste Work for Anaerobic Digestion? Different anaerobic digesters process different categories of feedstock. Wet Digesters: The most common type. They process feedstock that contains less than 15 percent solids. Dry Digesters: Process feedstock that contains more than 15 percent solids. Anaerobic digestion is a triple threat of sustainability. It provides us with a way to produce renewable energy that simultaneously reduces greenhouse gas emissions and sends less waste to landfills. 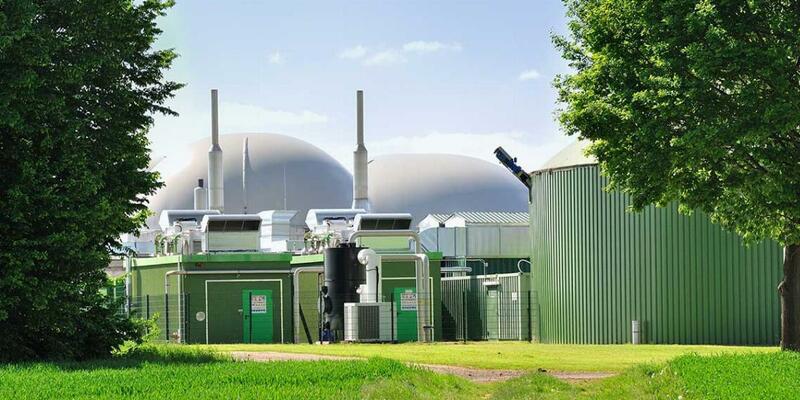 The biogas produced through the anaerobic digestion process is typically converted into electricity or used to heat buildings and water. The gas can also be put through a process that removes the carbon dioxide, leaving a product called biomethane that can be used in the same ways as natural gas—including as vehicle fuel. Throughout the country, the renewable energy produced through anaerobic digestion is being used in many beneficial ways. Many communities and large organizations like universities or food and beverage companies have built their own anaerobic digesters to lessen the amount of food sent to landfills. Other stand-alone digesters are built and run by recycling companies as an additional revenue stream—not to mention an additional way to reduce waste. Over 1,200 U.S. waste water treatment plants now have anaerobic digesters onsite. Most of them use the resulting electricity to power the plant itself and sell any excess to the local grid—creating a self-sustaining system for reducing landfill waste and lowering greenhouse gas emissions. A small number process their gas into biomethane and sell it to the natural gas grid. The gas produced when waste breaks down anaerobically in landfills is one of the most harmful to the environment. That’s why many landfills have created facilities to capture their biogas and convert it into power. Farmers are often at the forefront of the anaerobic digestion movement. Of the 157 commercial-scale digesters in the country, 143 of them are farmer-owned and operated. These digesters primarily process livestock manure, but some farmers also make deals with local grocery stores or restaurants to process their food waste. Most farm digesters convert their biogas into electricity to power the farm’s operations. But it’s common to produce more electricity than needed—meaning the excess can be sold to the grid. Farmers can also use the byproducts of anaerobic digestion. After waste is broken down in the digester, nutrient-rich materials called “digestate” are leftover which can be applied to soil as a fertilizer. The anaerobic digestion process presents many opportunities to convert waste into something useful and potentially money-saving—or money-making. But there are logistical difficulties preventing it from becoming more widespread. Digestion systems are very expensive to install and financing may be difficult to secure. A sizable, steady stream of feedstock is needed to produce enough power to off-set the expense. This means stand-alone digesters are only feasible for large organizations. Digesters need regular maintenance—sometimes even daily, depending on the operation’s scale. This can take time and labor away from other tasks. If you’d like to see anaerobic digestion used on a wider scale, you’re not alone. As many states begin setting clean energy goals, now is the perfect time to become an advocate. Begin by researching upcoming legislation on renewable energy in your state. Then, let your representatives know you support it and that you’d like to see anaerobic digestion feature in their plans. Take a peek at these resources from The American Biogas Council to get started. Want to learn more about current waste management practices? Check out the Industry News section of our blog. 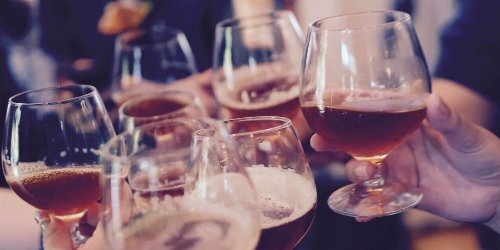 Want to learn how to drink beer sustainably? Follow our advice and a few tips from industry experts to enjoy a crisp cold one without the guilt.